Ernst &Young publishes business climate rating for G20 countries. 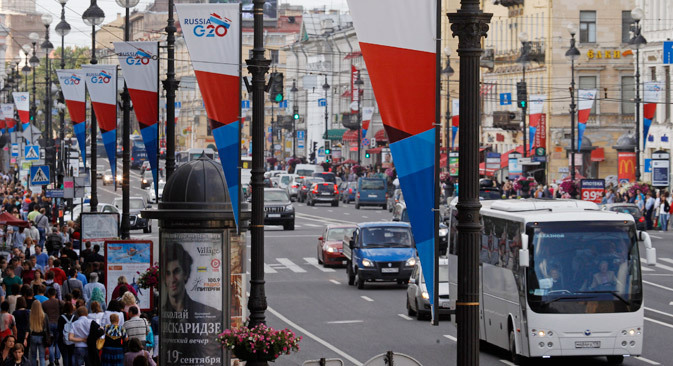 In anticipation of the September G20 Summit in St. Petersburg, Ernst & Young has published a report on the state of business activity in the 20 member countries. The main obstacle to the development of entrepreneurship in Russia, according to the study, remains the problem of attracting investments. However, in terms of the level of state regulation and taxation of business, the Russian Federation is already ahead of its BRICS neighbors and even some EU countries. Around 1,500 companies from the G20 countries took part in the Ernst & Young (E&Y) survey. The respondents were asked to rate the quality of their national business climate by five parameters: access to financing, tax burden, labor force qualification, level of overall support and development of business culture. As a result, the G20 members were divided into four groups of five countries each, among which the first group had the highest marks. The leaders were predictable: the United States, the United Kingdom, Canada, Australia and South Korea. The second group included the European Union as a whole, France, Germany, South Africa and Japan. Russia made it into the third group — it turns out that the conditions of doing business in the Russian Federation are, in general, comparable to those in Brazil, China, Mexico and Saudi Arabia. The last group included Argentina, India, Indonesia, Italy and Turkey. The authors of the report also noted that, to stimulate entrepreneurial activity, it is critical to facilitate access to financing; they recommend that governments provide state guarantees for loans to startups and small businesses. Russia is already following this recommendation. Currently, the Russian government is considering a proposal created by the Ministry of Economic Development, which calls for the establishment of a Federal Guarantee Fund of 100 billion rubles ($3 billion). The fund would contribute to the reduction of interest rates on loans to small and medium-sized enterprises (SMEs) — at least to the level of 10 percent per annum. In the meantime, Russia is 15th out of 20 countries in terms of availability of financing; it is behind not only China, but also Brazil, India and Indonesia. The first place is held by the United States. Survey respondents rated the creation of infrastructure for entrepreneurs (business incubators, joint research projects with leading universities, representation of interests of entrepreneurs in the government), and Russia leads the sub-ratings of overall business support. However, E&Y points out that this figure reflects the “tendency towards the improvement of conditions,” rather than their present state. This conclusion is also confirmed by the fact that the level of employment in Russian SMEs is still the lowest among the G20 countries: Only 17 percent of the total workforce is employed there. By comparison, this figure is 59 percent in Germany, 47 percent in the U.S., and 37 percent in Brazil. In the tax sub-ratings, the Russian Federation occupies ninth place, ahead of the EU and the United States. In first place is Saudi Arabia, where residents are exempt from income tax, the rate of insurance premiums is 11 percent, and the corporate tax rate is 20 percent. In the section referring to proposals to improve the business climate, the report’s authors noted the importance of tax incentives for business startups. The Russian government is now discussing the possibility of introducing a two-year tax holiday for newly established small companies; the plan is to provide an exemption from all taxes. However, E&Y notes that the reduction of fixed taxes (not depending on the turnover) — especially for real estate or insurance premiums — is more effective, in this case, than income tax reductions.